On Christmas Eve, villainy is afoot in London Town! 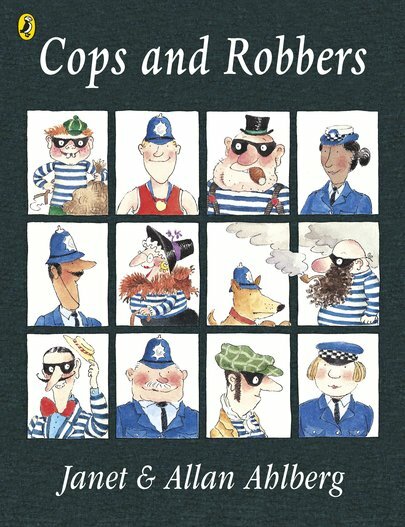 London’s robbers have cooked up a plot to steal all the toys they can lay their naughty hands upon! As brave Officer Pugh and his men leap into action to save the children’s toys, will the heroic cops be able to stop Grandma Swagg and co? This riotous romp of rumbustious fun from Janet and Allan Ahlberg is a marvellous swag-bag of slapstick giggles and comical villains. A firm favourite with kids and grown-ups everywhere, it is criminally funny!